Wireless headphones are a very convenient piece of technology and when purchasing a pair, you should always look to get the best. In this review we will be taking a look at the Optoma NuForce BE2 wireless Bluetooth in-ear headphones and they are an excellent deal for persons looking for a budget earpiece that delivers in performance. The Optoma NuForce line of earbuds are priced at £50. They produce incredible noise isolation and have over 10 hours of battery life. The BE2 have the same angled drivers, flat ribbon cable and water-resistant remote controls found on their contemporaries. 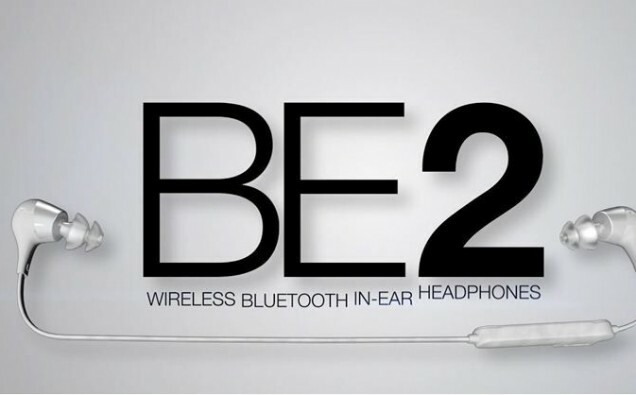 The BE2 are IPX5 rated, making them sweat and water resistant but bear in mind, this doesn’t mean you should dunk them into water, though they would undoubtedly survive being under the rain. Despite the price at which the BE2 come, Optoma has made no compromise in sound quality as the earphones produce sounds almost identical to the range found on the BE Sport 3. This means you get a balanced presentation with a slight mid-bass bump. Battery life on the BE2 is good, providing about 10 hours of playtime, close to what you would get from the BE3. This means you will have to charge the earpiece say, midweek if you are looking to use it on your commute. Overall, Optoma did an excellent job creating an earphone as high as this for £50, and you would never get the feeling that you are using an inferior earpiece. Although you don’t get the metal build of the BE3 or as many accessories as you would get on the BE Sport 3, or NuForce BE6i. However, for most persons, the Optoma NuForce BE2 are an excellent device for their shop listed price. Compared with other earpieces such as the Jaybird Freedom, which are four times as expensive, the NuForce BE2 provides twice the battery life and superior sound quality. For the price, it’s hard to beat the Optoma NuForce BE2.